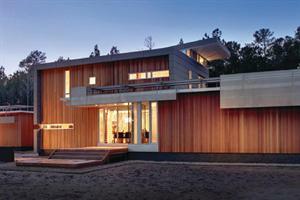 RESIDENTIAL ARCHITECT: “leading light – a new family home sets an example for its community”. The design/build architects of Raleigh, N.C.–based Tonic Design are big on the synergies afforded by their way of producing buildings. Interweaving design and construction creates opportunities for improvisation, says principal designer Vincent Petrarca. “It’s like jazz.” The LEED for Homes–certified GREENville House in Greenville, N.C., demonstrates the power of such synergies, not only between design and construction, but also between modernism and sustainability.